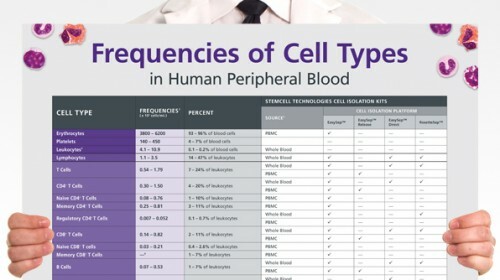 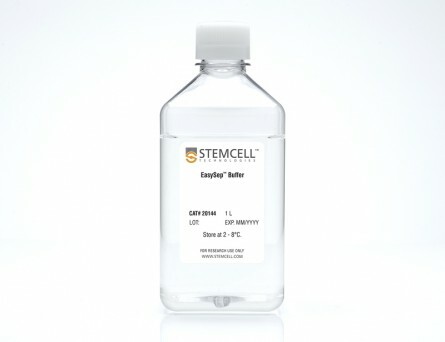 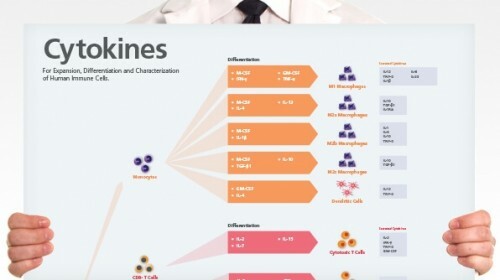 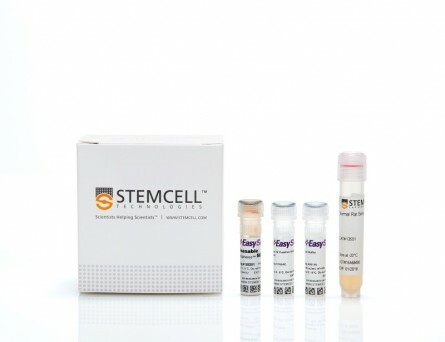 The EasySep™ Release Human PE Positive Selection Kit is designed to isolate cells that are labeled with PE-conjugated antibodies from fresh or previously frozen peripheral blood mononuclear cells or washed leukapheresis samples by immunomagnetic positive selection. 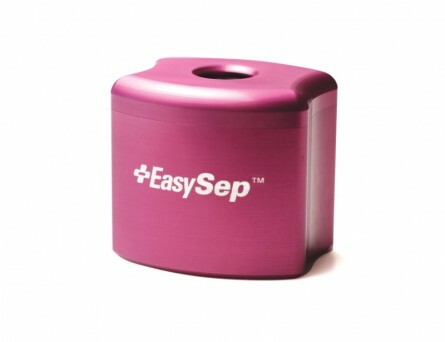 Desired cells are labeled with antibodies and magnetic particles, and separated without columns using an EasySep™ magnet. 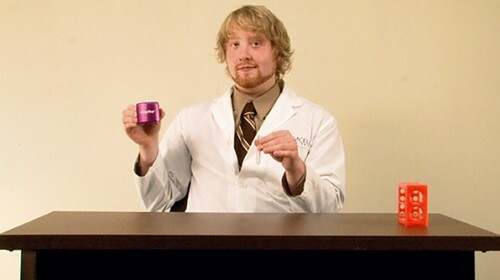 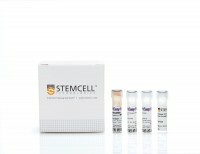 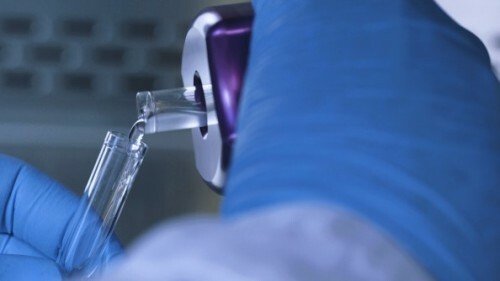 Unwanted cells are simply poured off, while desired cells remain in the tube. 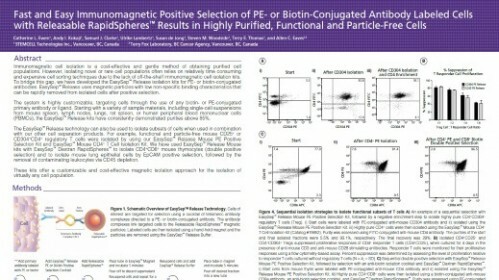 Then, bound magnetic particles are removed from the EasySep™-isolated, PE-antibody labeled cells, which are immediately available for downstream applications. 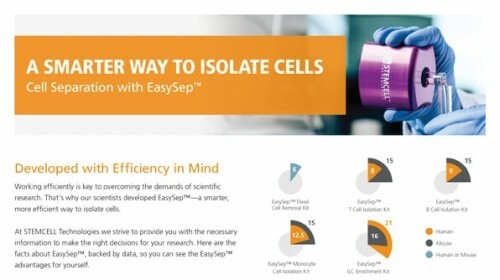 Following cell isolation with this EasySep™ Release kit, antibody complexes remain bound to the cell surface and may interact with Brilliant Violet™ antibody conjugates, polyethylene glycol-modified proteins or other chemically related ligands. 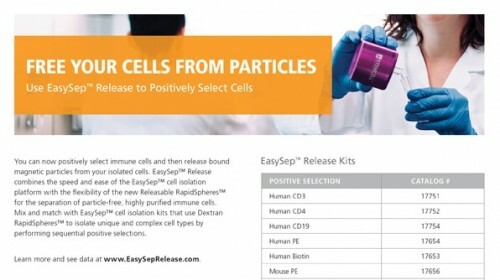 This product replaces the EasySep™ Human PE Positive Selection Kit (Catalog #18551), providing highly purified particle-free cells. 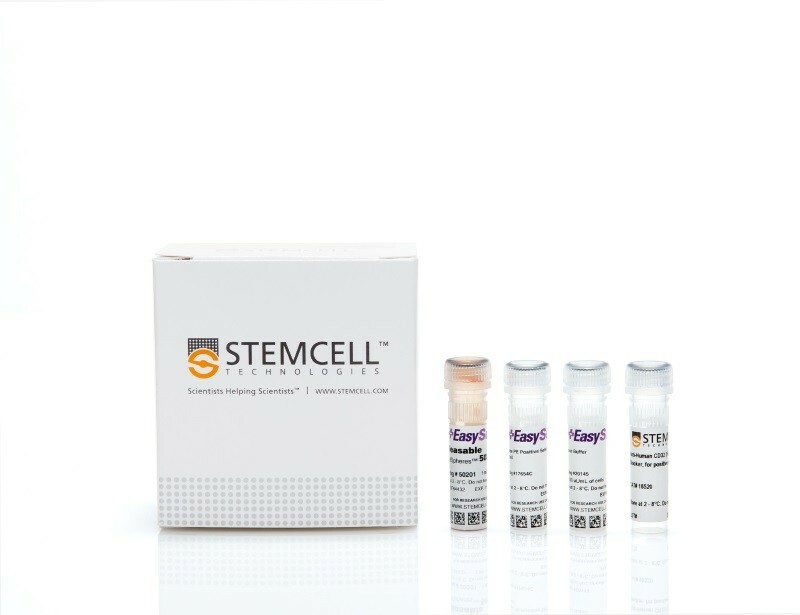 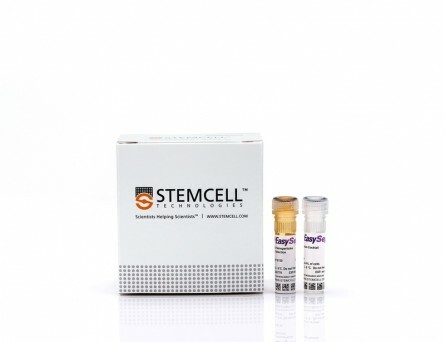 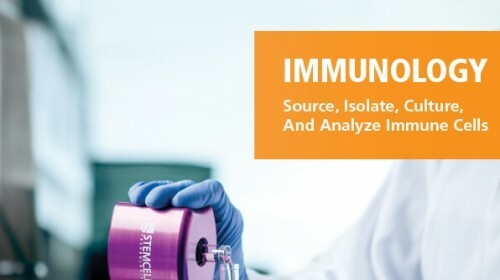 Starting with fresh PBMCs, the purities of the start and final isolated fractions are 46.9% and 98.8%, respectively, using a PE-conjugated anti-human CD45RO antibody and EasySep™ Release Human Positive Selection Kit.